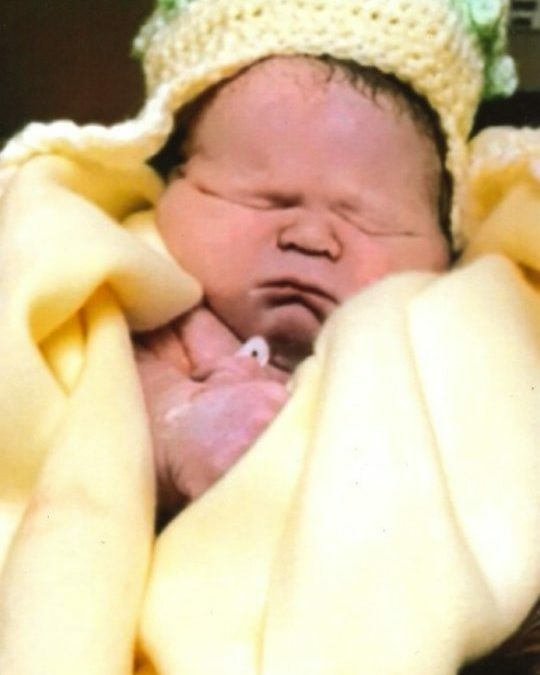 Lennox Briar Pitman-Osborne, the newborn baby of Donnie Osborne and Savannah Pitman, was born on Wednesday, April 25, 2018 and passed away shortly after at Lake Cumberland Regional Hospital. Along with the parents, Lennox is survived by grandmothers; Buffy Pitman of Somerset and Amanda Gambrel of Eubank, great-grandparents; Robert and Betty Crabtree of Somerset and great-grandmother; Lisa Gambrel of Eubank, aunts; Kelsie Pitman and Brittney Fields, both of Somerset, Brianna Burton of Science Hill, Elizabeth Walters and Halee Walters, both of Nancy, uncles; Gunnar Pitman of Somerset and James Osborne of Eubank. Lennox is also survived by a host of extended family and friends. A visitation will be on Monday, April 30, 2018 from 2:00 p.m. until 4:00 p.m. in the Chapel of Southern Oaks Funeral Home with graveside services at 4:00 p.m. at Southern Oaks Cemetery. In lieu of flowers the family requests that contributions be made to the Lennox Briar Pitman-Osborne Monument Fund, In Care Of Southern Oaks Funeral Home, 2110 W. Hwy. 914, Somerset, Kentucky 42503. Southern Oaks Funeral Home is entrusted with the arrangements for Lennox Briar Pitman-Osborne.